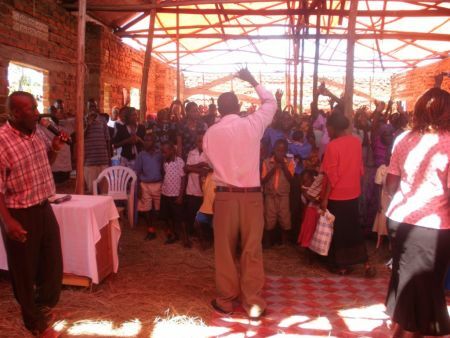 We received this report from George and Berna Senyonga: "We are in Masaka, western Uganda reaching the poor and disadvantaged people so they can hear the gospel. 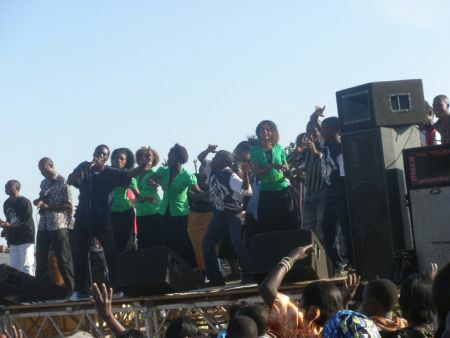 This gospel campaign and seminar began on Sunday 24th January 2010. Many souls have turned to Christ and many delivered from powers of darkness including a native traditional witch. We serve a mighty God,and we are a big family. George prayed for people in the seminar in the morning and many received healing and at the crusade in the evening. 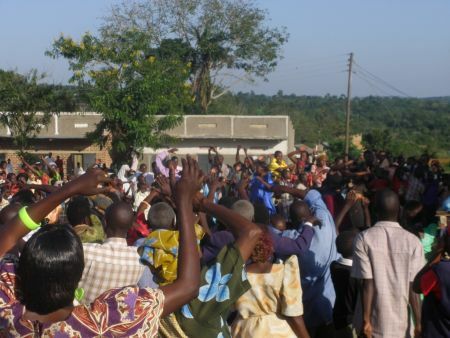 The Lord saved many in the meetings. 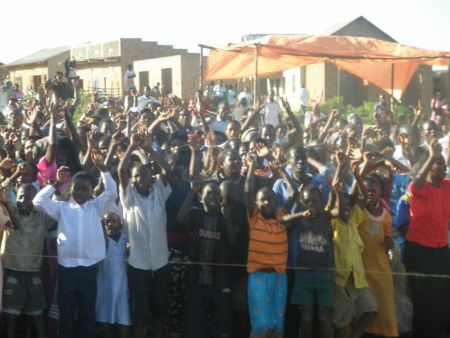 About 800 people heard the gospel and 100 received Christ in just four days." Please enjoy the photos to the right.